Facebook has just updated their iPhone app to version 3.1.3, it includes two minor and one major update: you can now watch Facebook videos right in the app, though you have to dig around to find any to watch. The minor updates are being able to view and write on wall of Events, and that uploaded photos are now 720px wide. Being able to view videos right in the app is a great addition, but unfortunately Facebook seems to have buried it a bit and not included a dedicated “Videos” icon as they do for photos and other features of the iPhone app in the navigation. The iPhone’s new iOS4 is supposed to ship with a number of Facebook features integrated right into the OS, so perhaps this is part of that integration from Facebook’s side and will be more prominent with iOS4 installed? We’ve sent an email to Facebook asking for clarification. Updated: As you can see from the comments below, some of our readers are seeing bugs and one is able to watch videos, so it seems as if the feature is live. 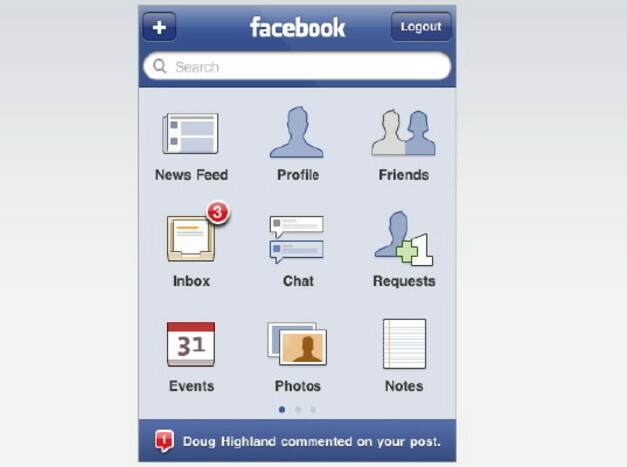 Hopefully, Facebook will add an icon soon so that this isn’t so buried.